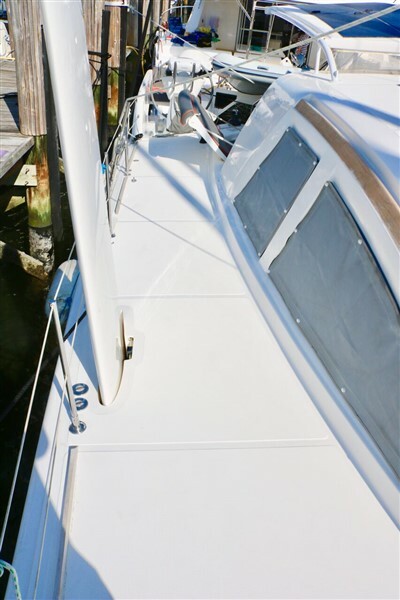 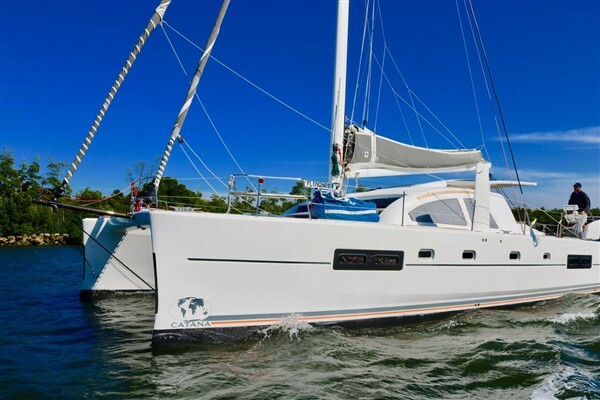 We are proud to introduce the Bentley of the oceans: a gorgeous 2007 CATANA 50 in the preferred "owner’s version". 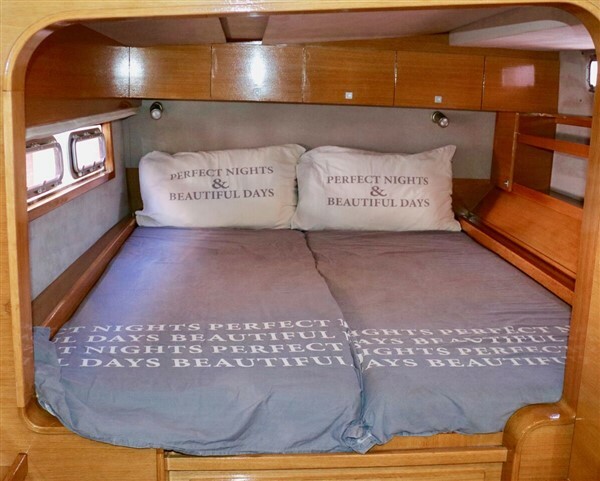 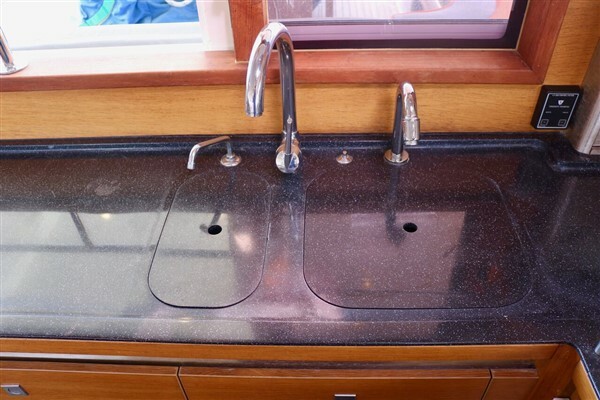 This yacht is set up for ease of handling by a couple. 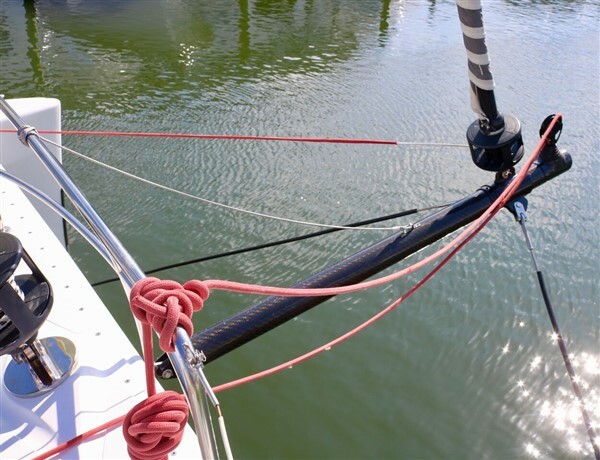 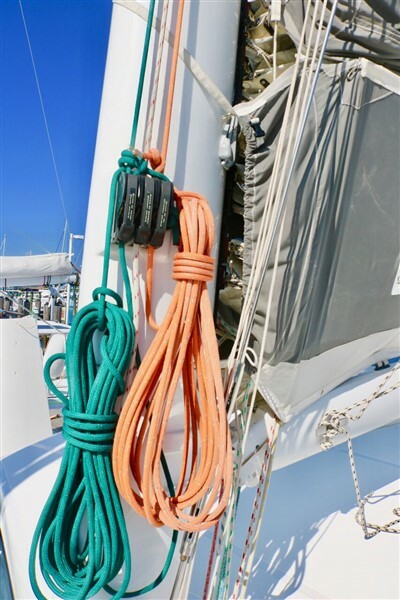 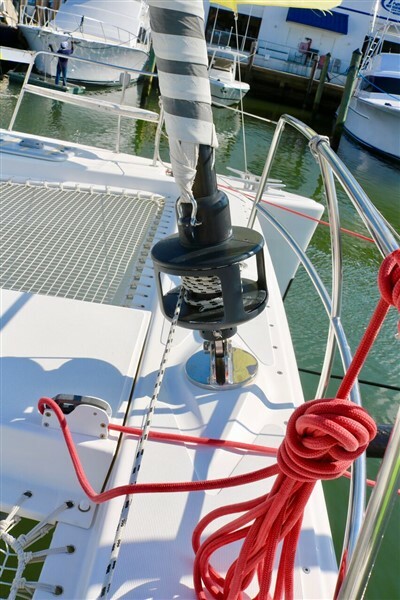 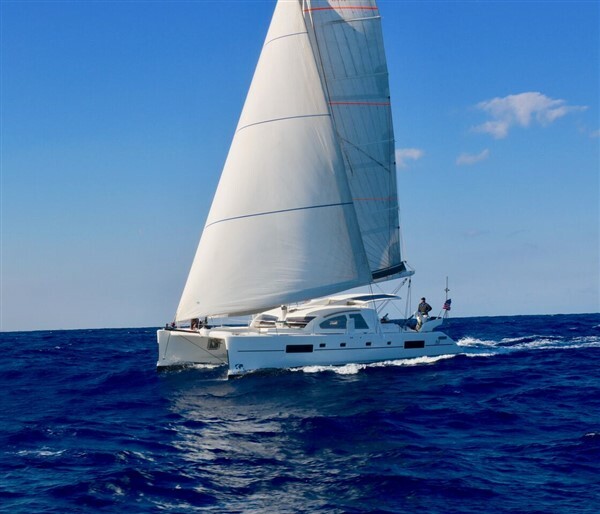 She sports a carbon rig, sprit, and high tech sails, and is presented in true sail-away condition. 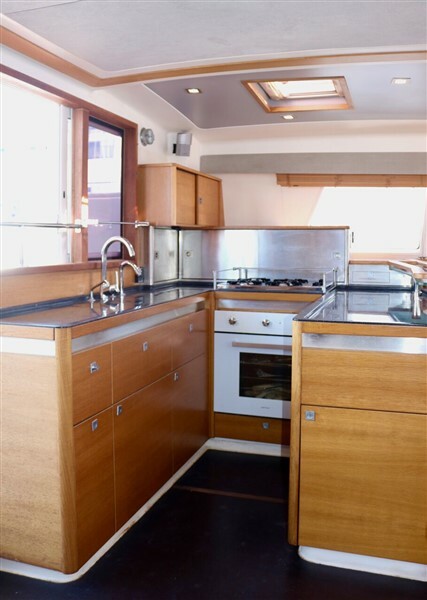 As such, she shows fantastically and is in top order from stem to stern. 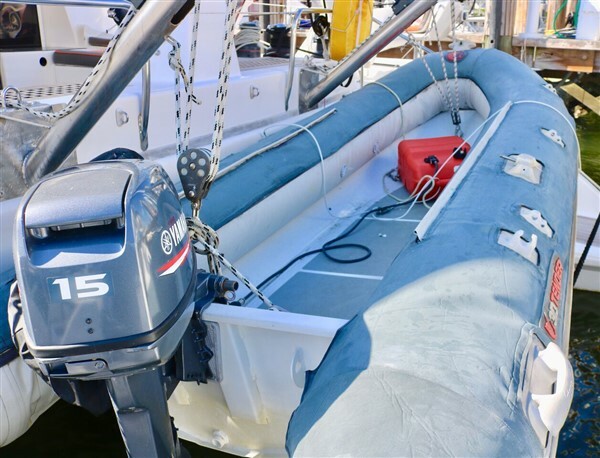 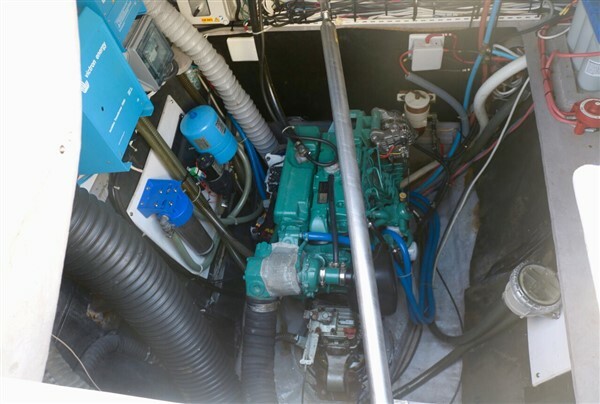 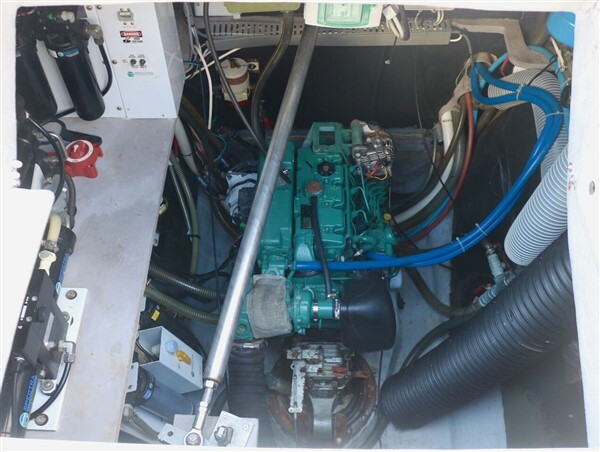 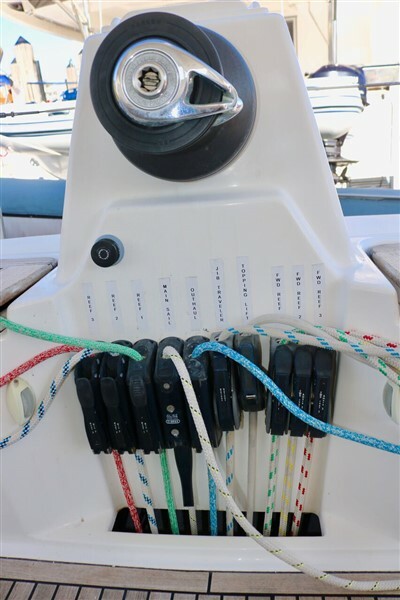 Low hours on the engines, Lithium batteries, new standing rigging, new B&G electronics all over the past month. 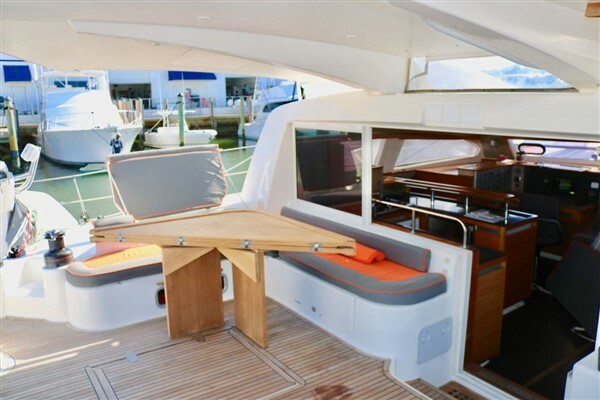 She is available for viewings just outside the Miami boat show by appointment only. 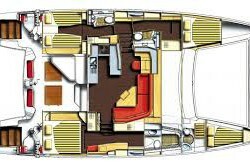 Sandwich construction, TWARON® Impact Process. 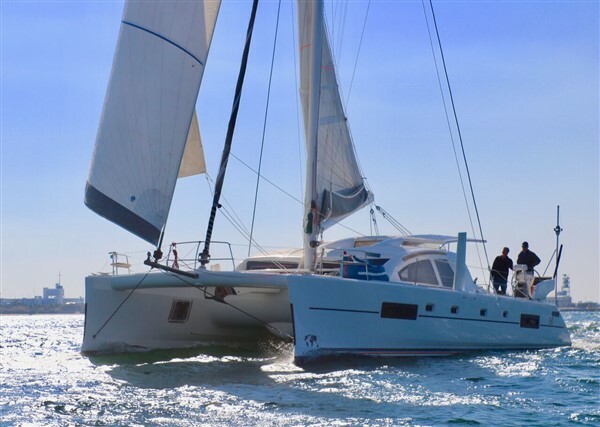 The Catana 50 features double transverse bulkheads in the leading edge of the nacelle and a composite forward beam integrally moulded with the hulls and deck: stiff structures, resistant to fatigue and noiseless, compared to more flexible yachts. 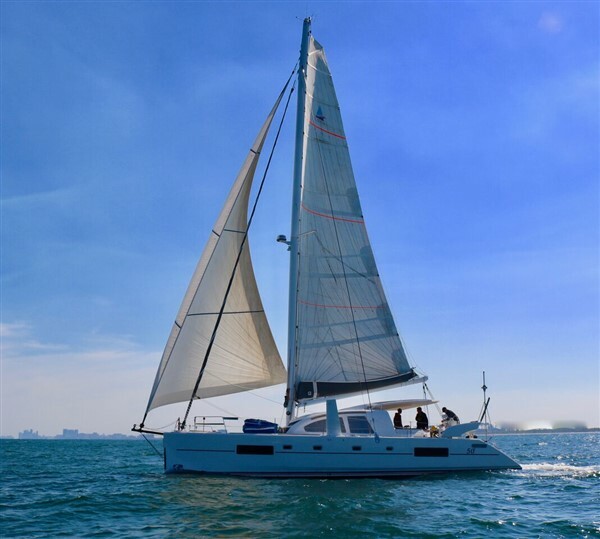 With its streamlined hulls, underwater bulbs, tulip-shaped bows and retractable daggerboards, the Catana 50 continues Catana's reputation for stability, safety and performance. 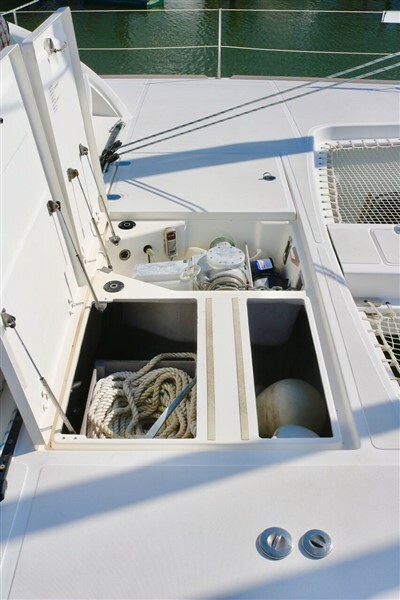 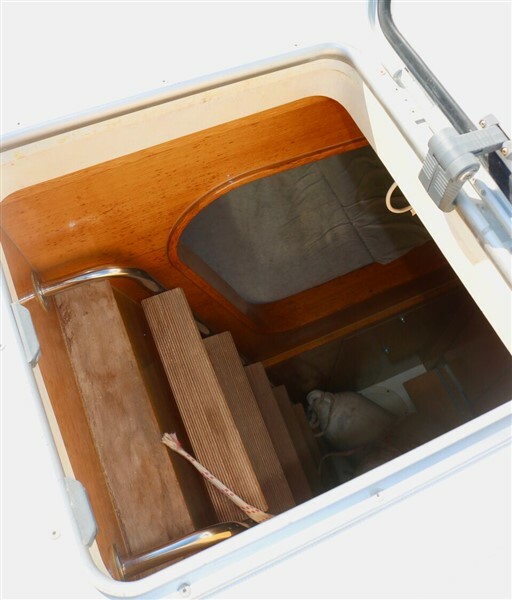 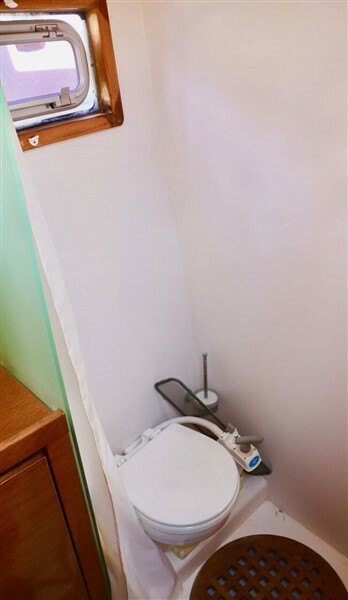 The well sheltered, large cockpit offers comfort as well as easier and safer manoeuvring. 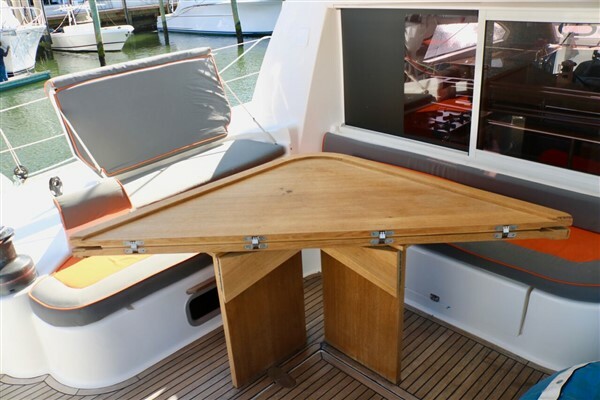 The new integral forward beam brings greater integrity and stiffness to the structure and the rig. 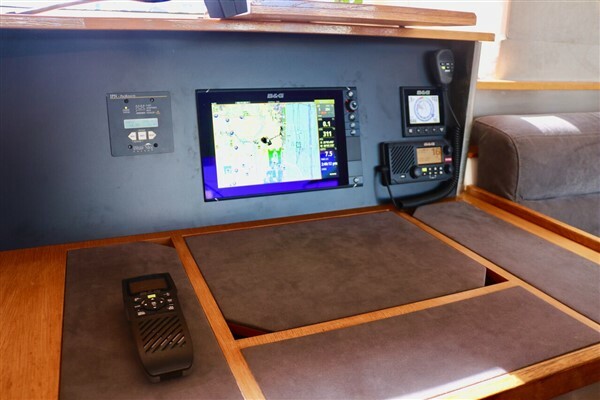 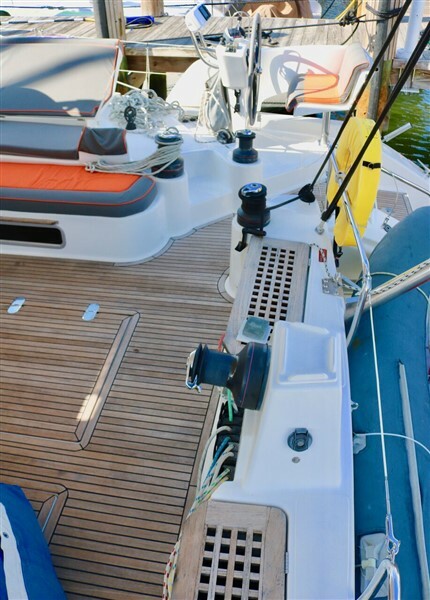 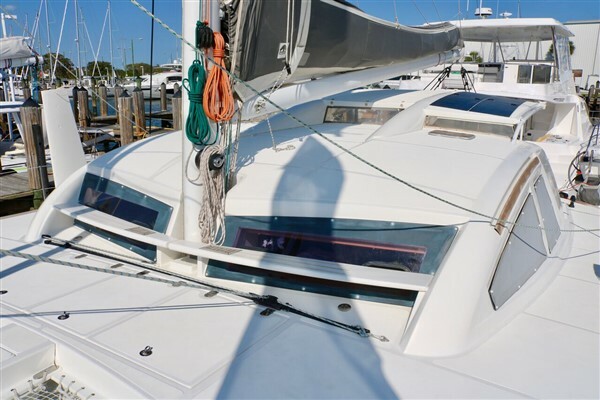 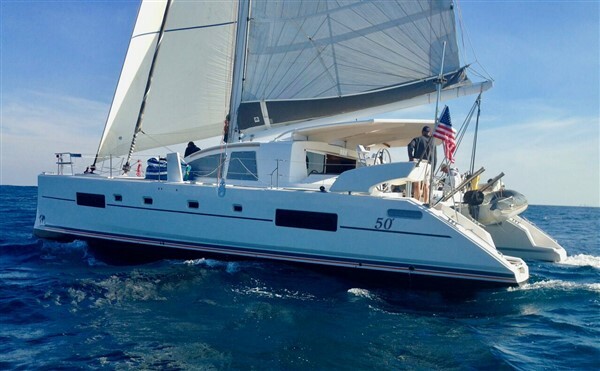 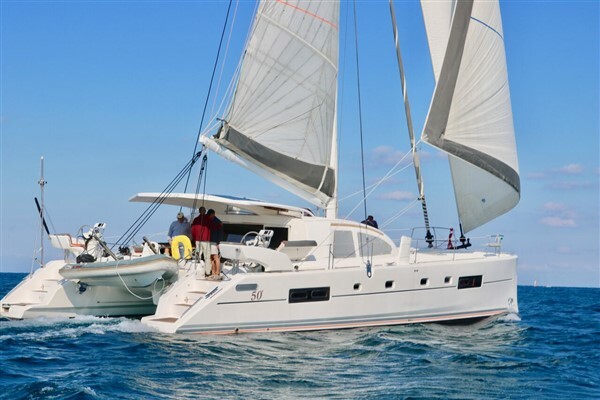 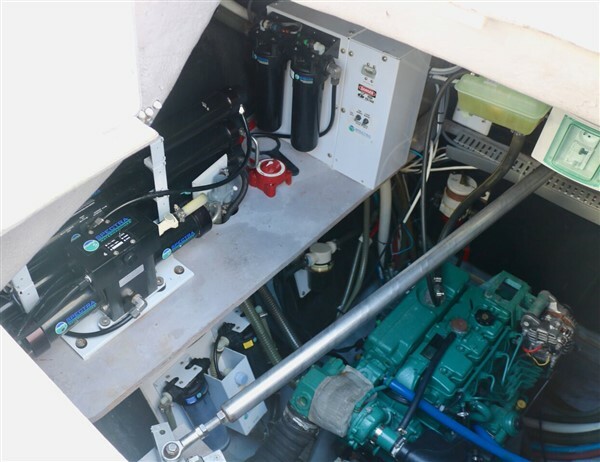 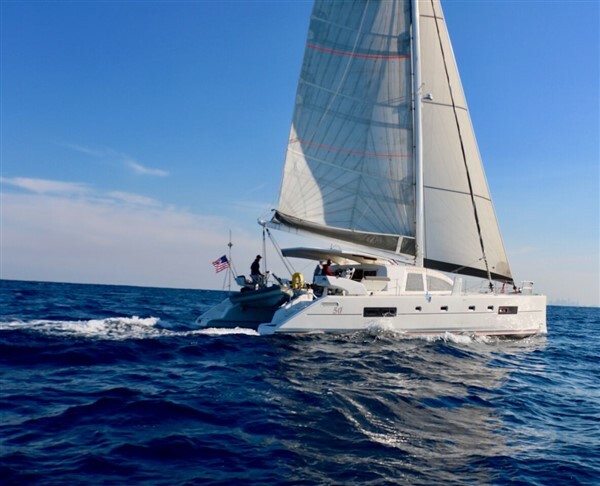 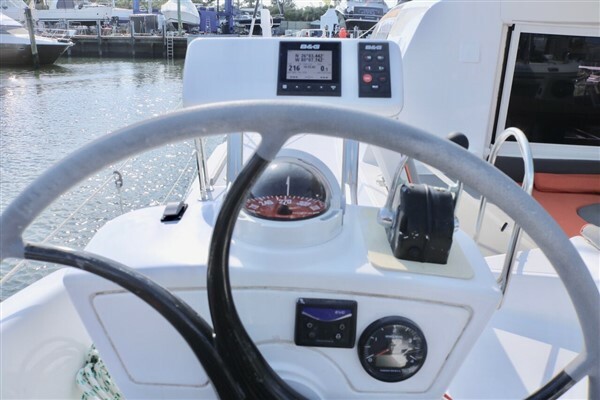 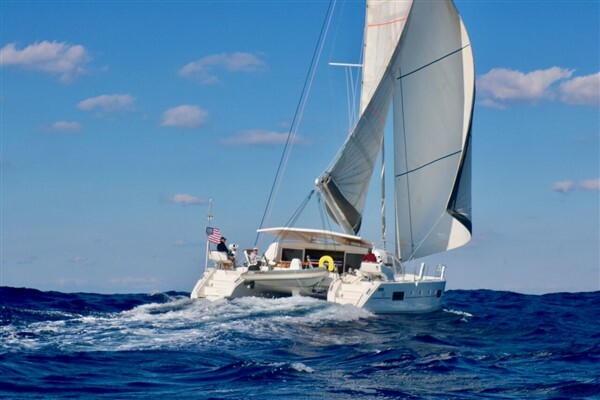 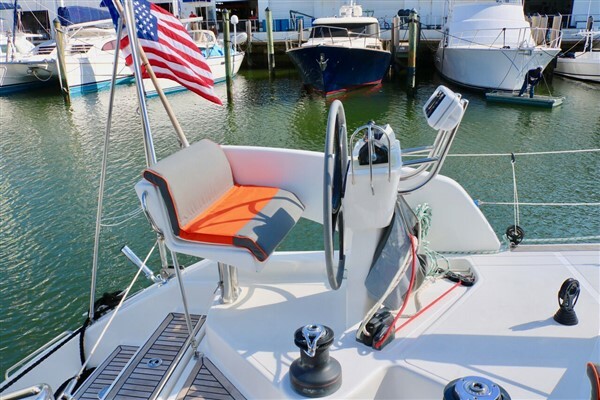 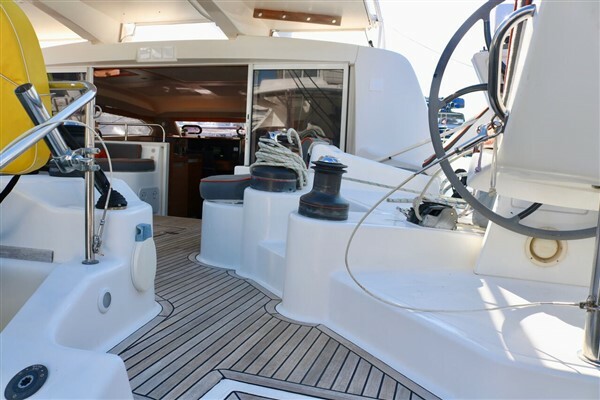 The Catana 50 is a top of the line successful blue-water cruising cat with streamlined hulls that are slightly tilted outwards to enhance stability and reduce heeling. 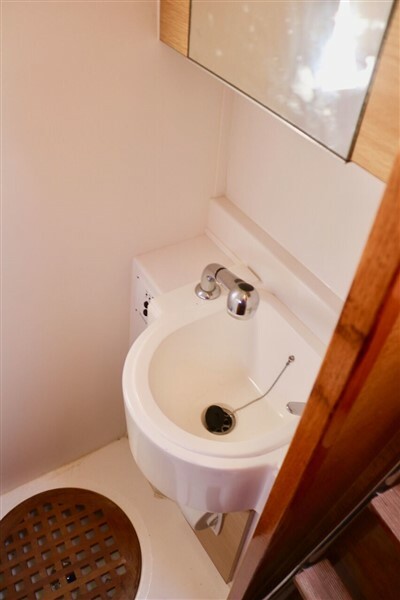 The design makes for an elegant silhouette. 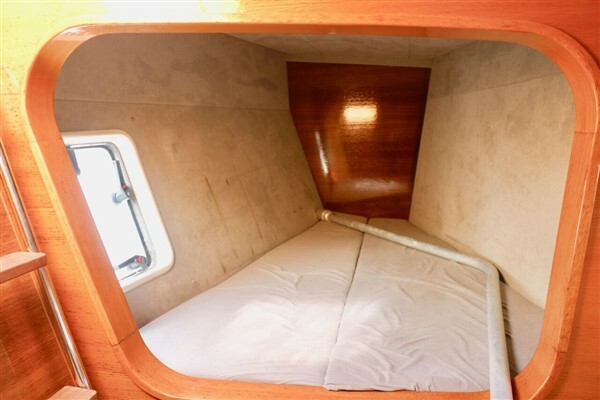 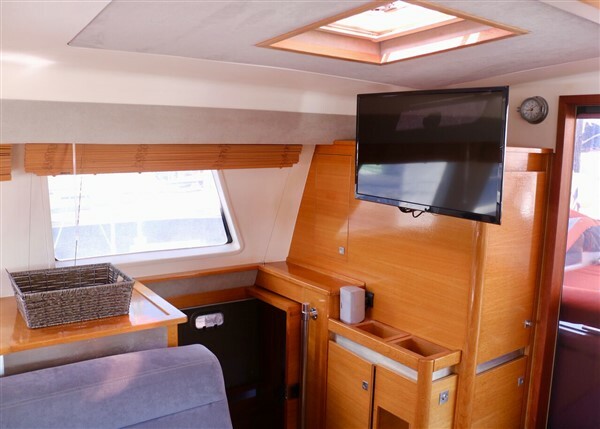 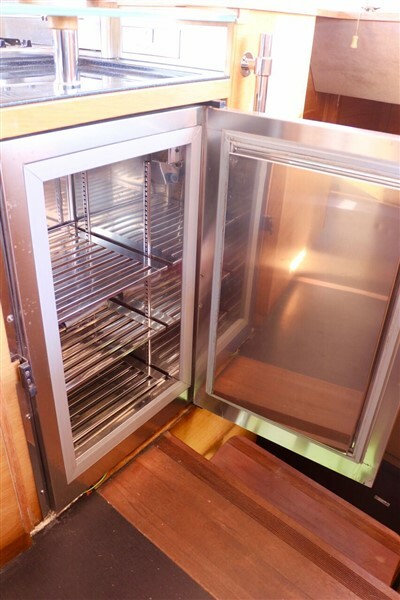 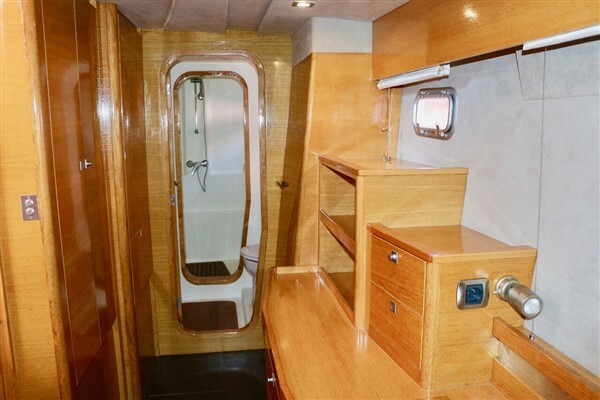 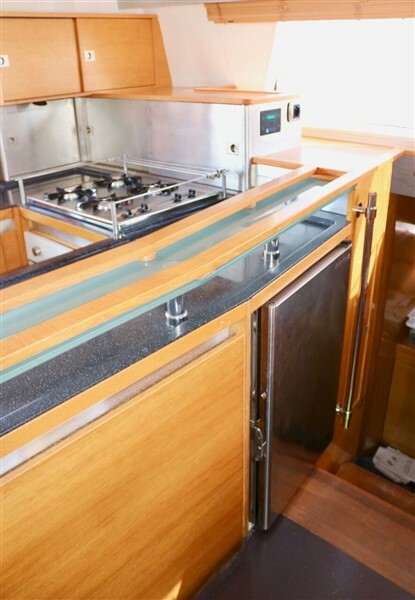 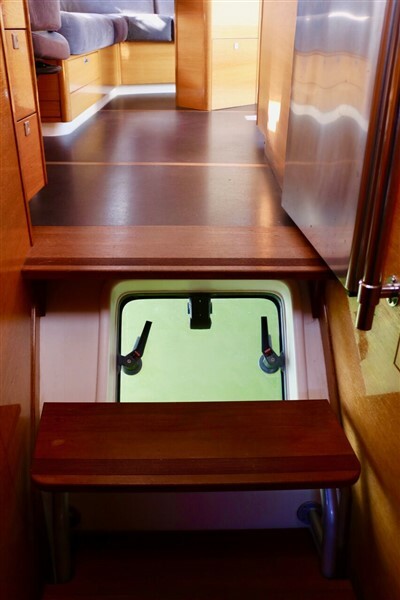 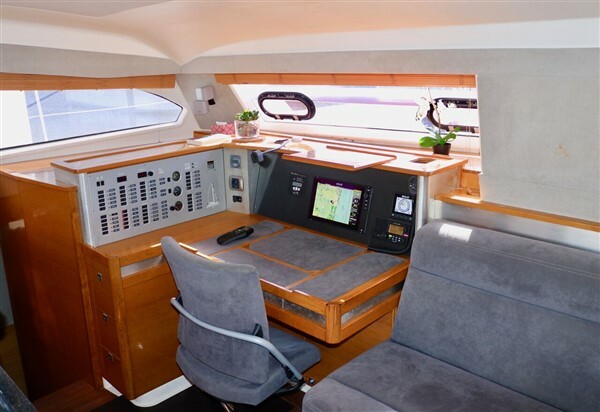 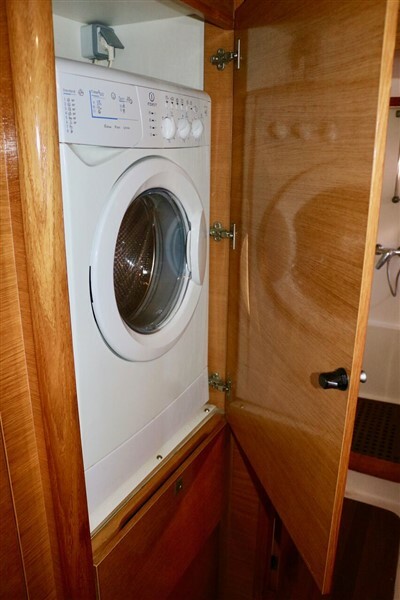 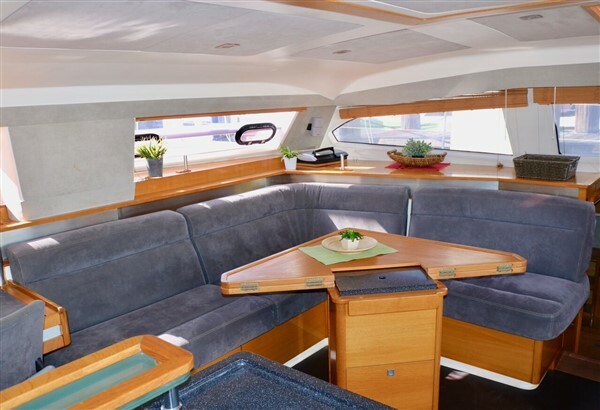 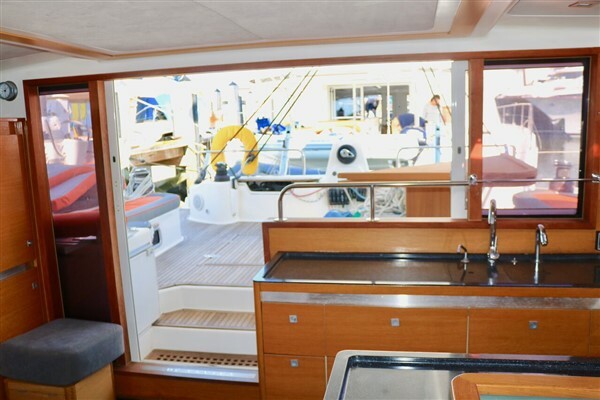 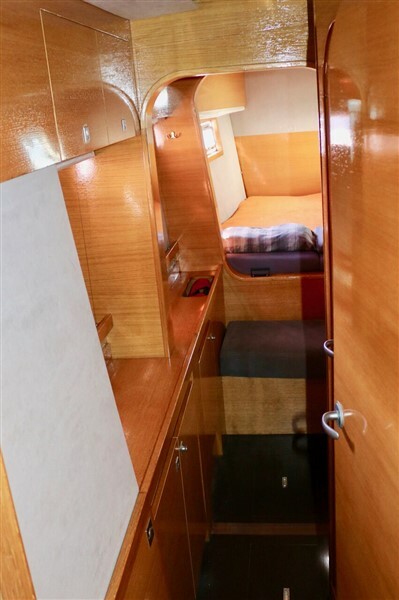 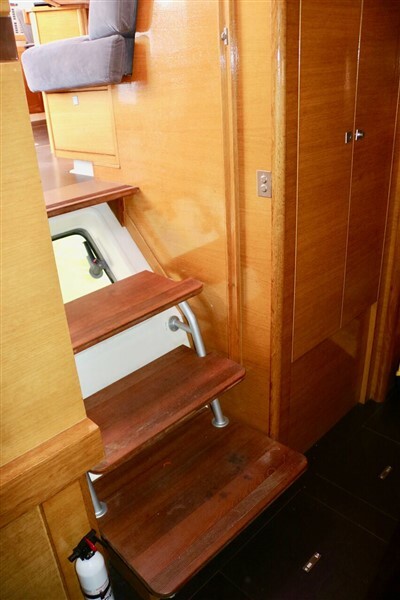 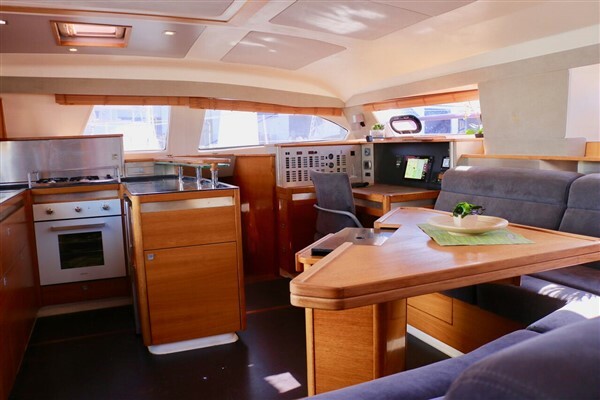 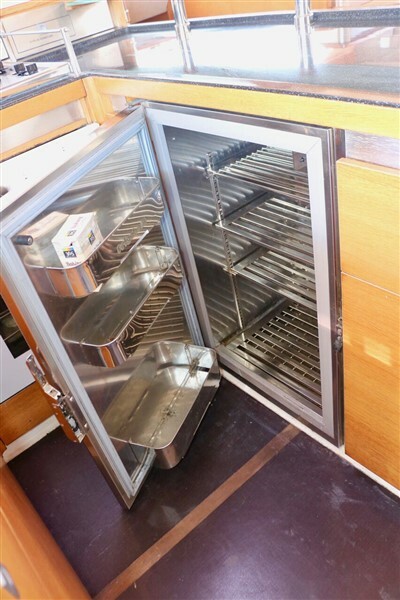 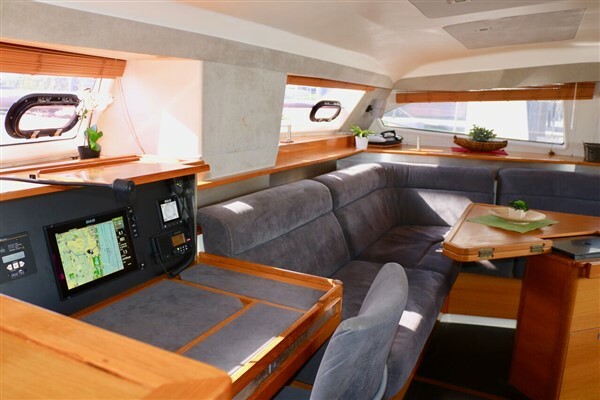 Perfect for a family or a group of friends, the Catana 50 has a fully equipped U-shaped galley that can accommodate groups of up to ten diners with ease. 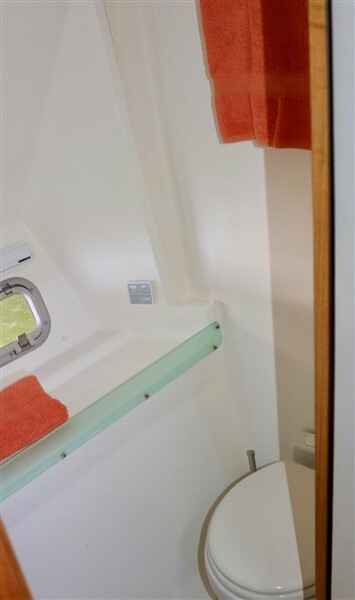 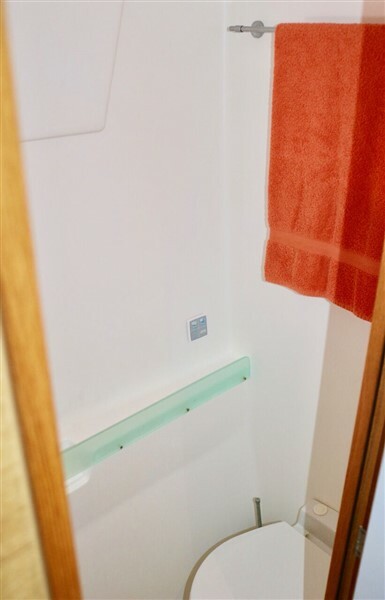 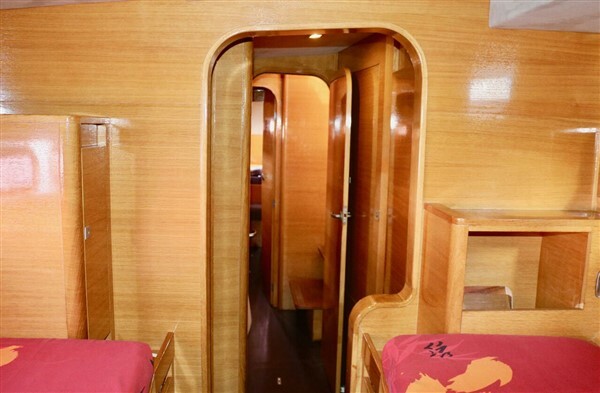 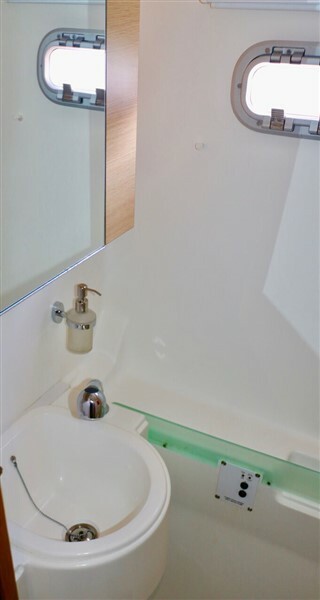 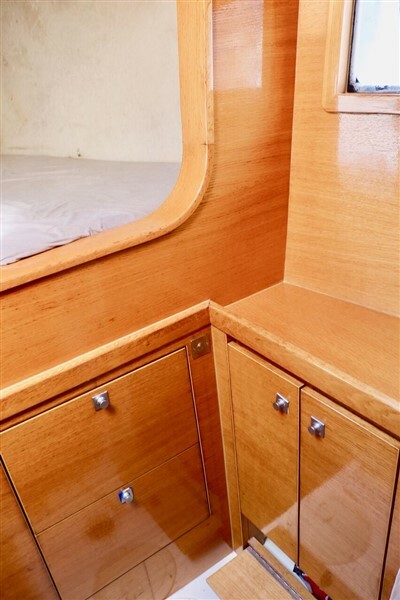 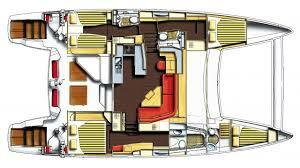 Its three spacious cabins are a haven of comfort for six passengers. 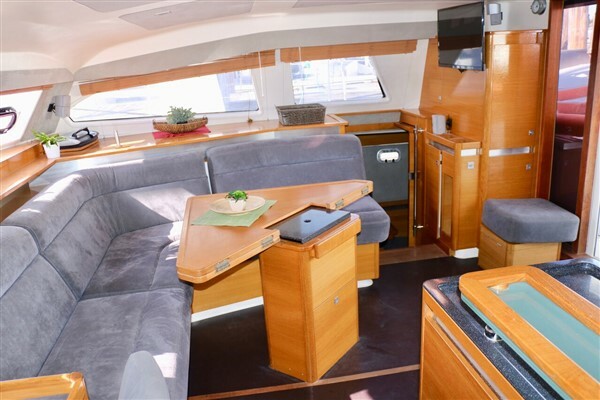 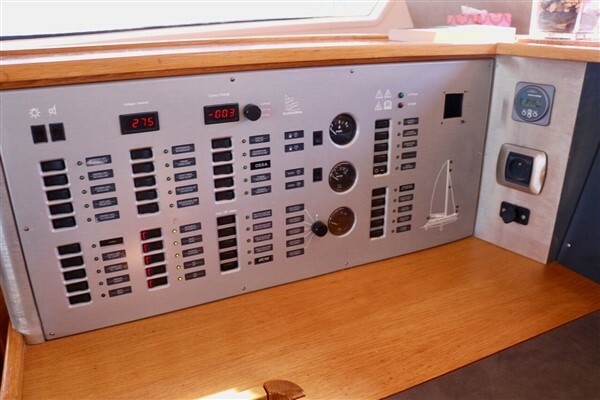 She has a huge saloon offering fantastic panoramic views and large well sheltered hardtop cockpit for entertaining. 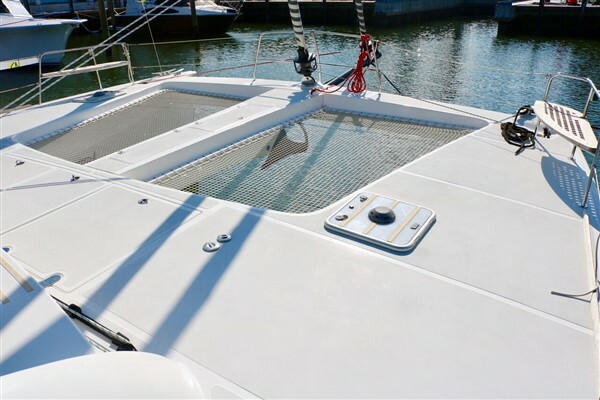 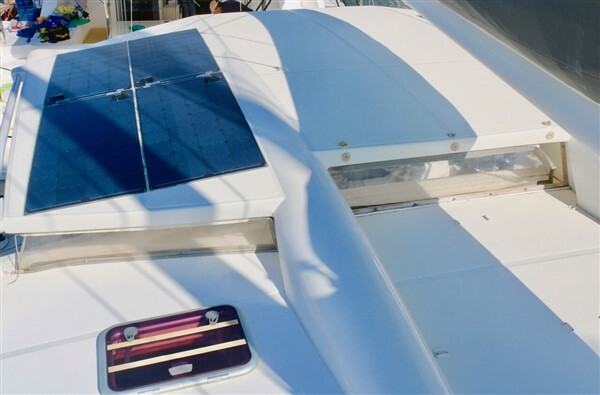 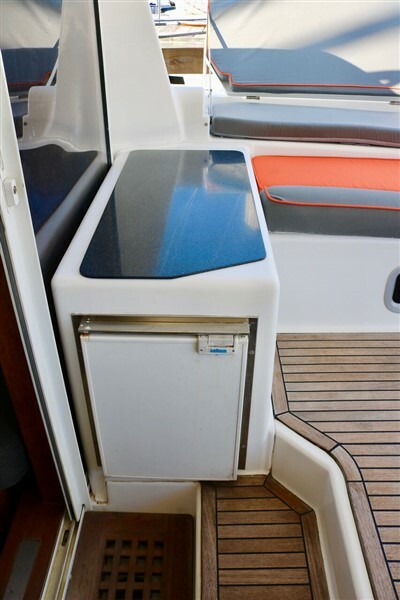 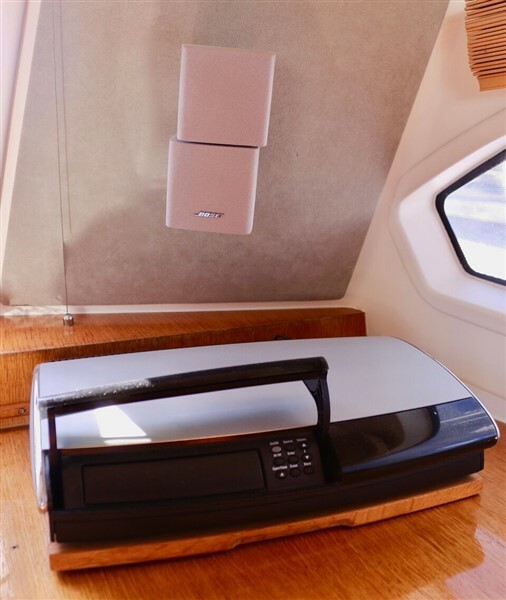 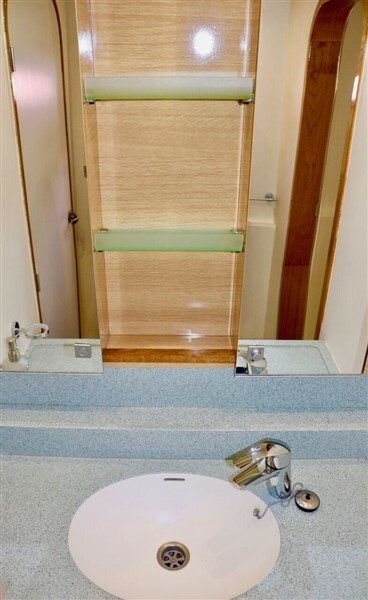 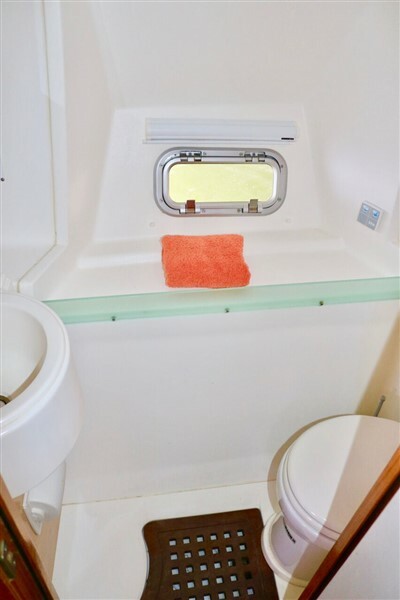 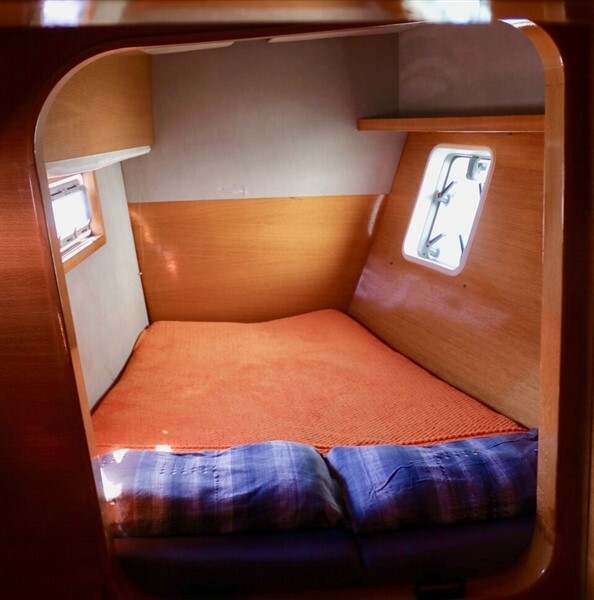 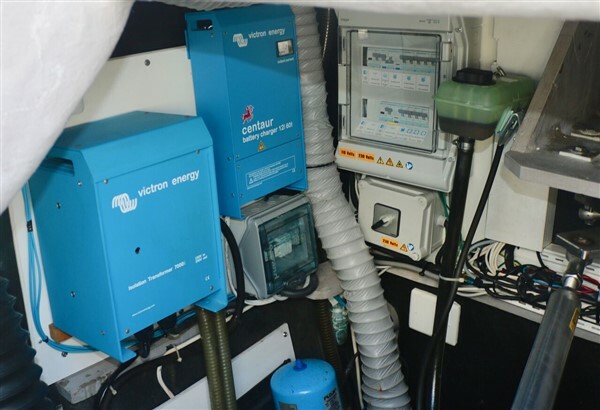 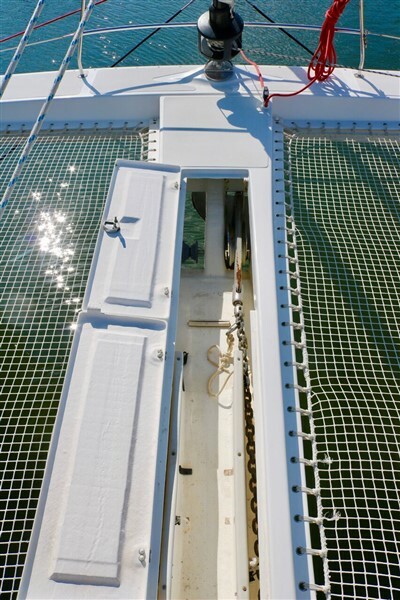 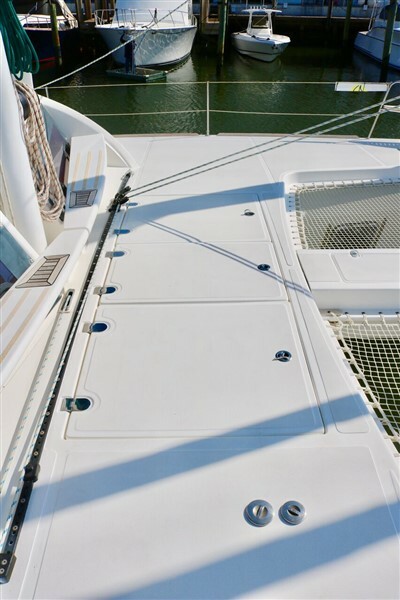 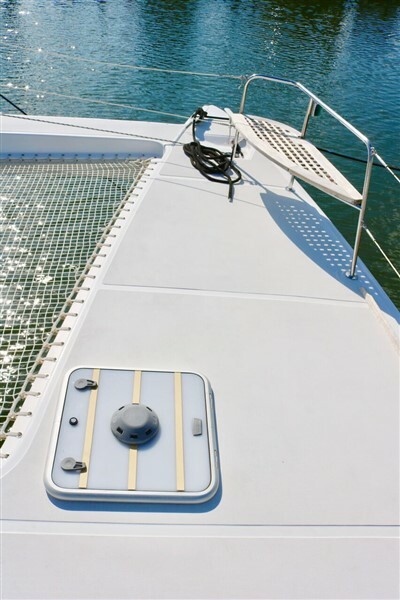 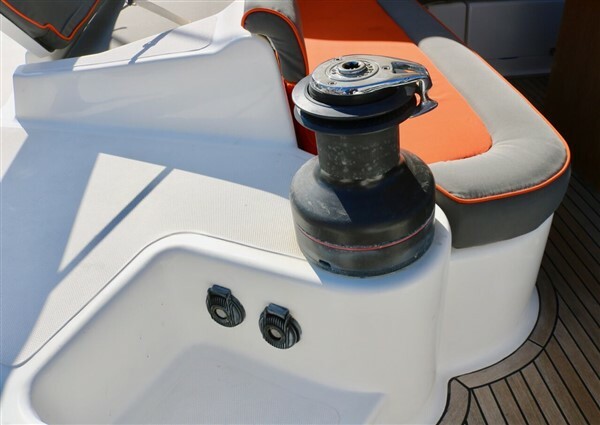 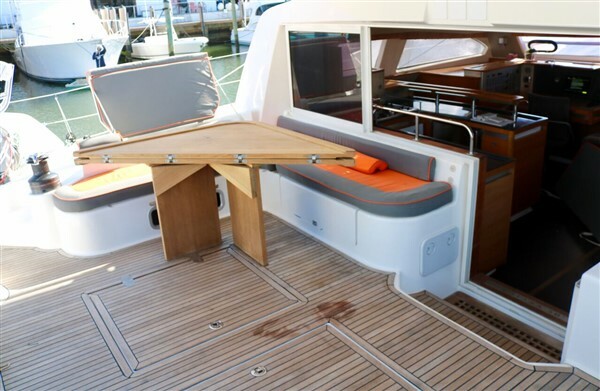 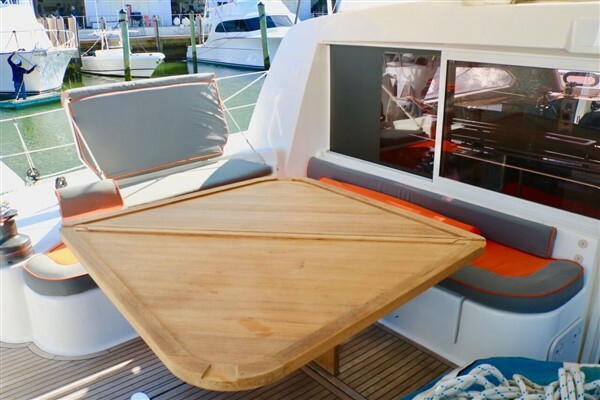 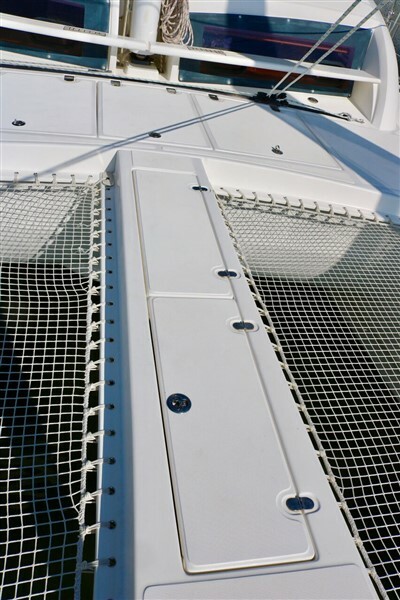 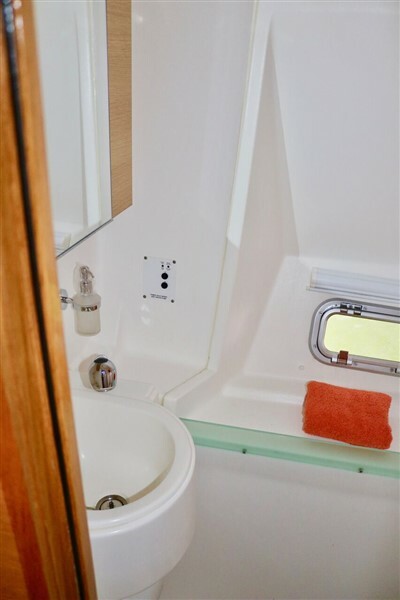 The excellent design of the bimini top, with an open view to the front of the boat, enables the installation of solar panels as well as providing great sunbathing opportunities. 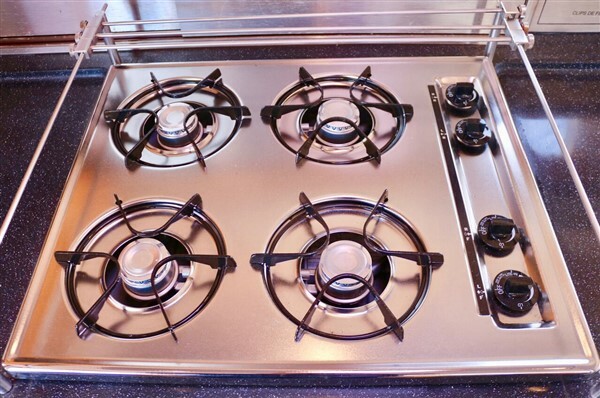 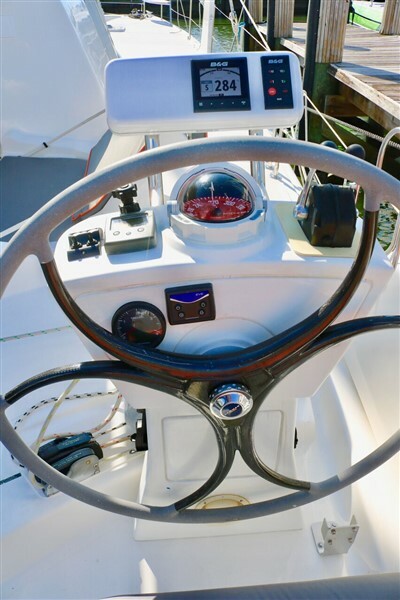 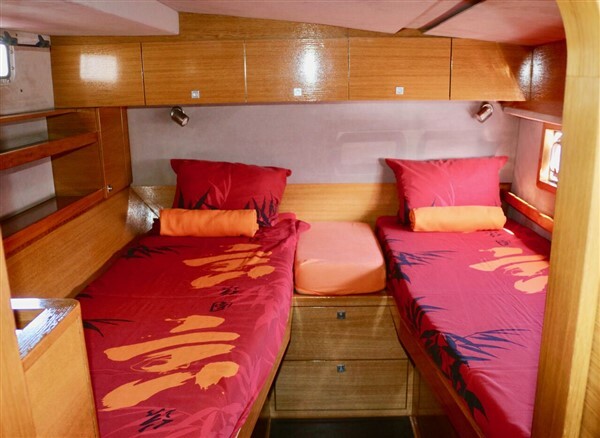 Catana have successfully married elegance and space along with strength and speed.